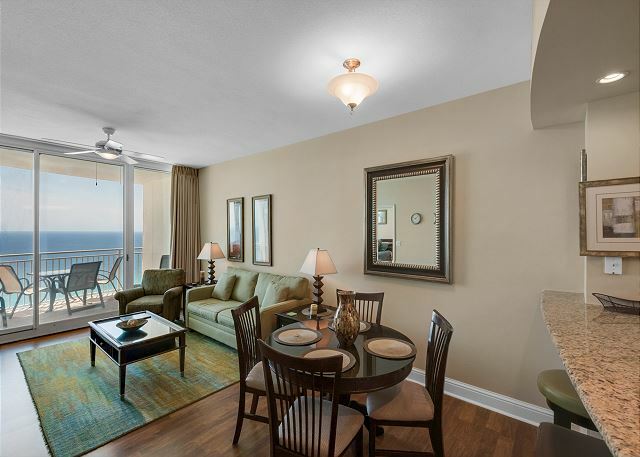 Gulf-front Condo 1906 includes 50" Flat Screen TV in the living room, Flat Screens in the master and bunk room. 1906 has several fabulous updates just completed in 2017! Freshly painted throughout. New Queen Size Sofa Bed in the Living Room. New Counter Stools. Brand new laminate flooring in the Living Area, new area rug. 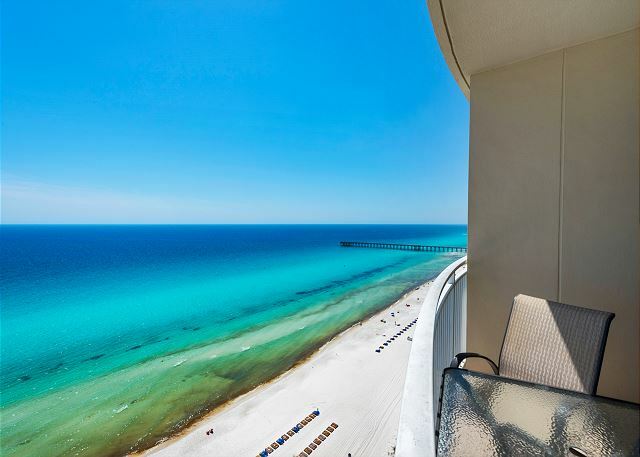 AQUA Condo 1906 is 1,010 sq. feet of luxury gulf-front vacation living. Just a short stroll to the exciting PIER PARK dining, entertainment, and retail complex! 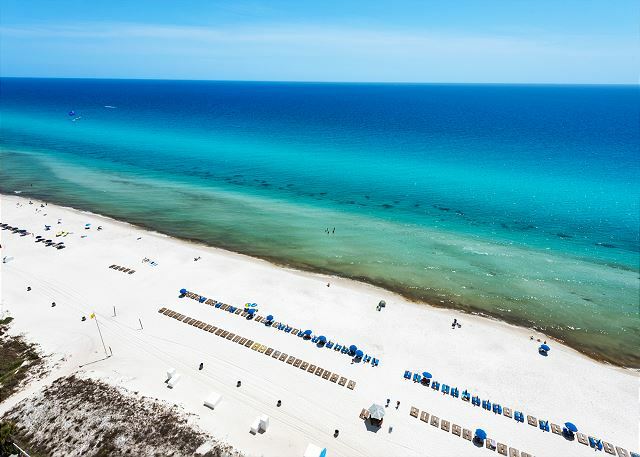 Breathtaking views of the beach and gulf from your living/great room, master bedroom, and large elliptical balcony. The view is unobstructed, even from the kitchen. 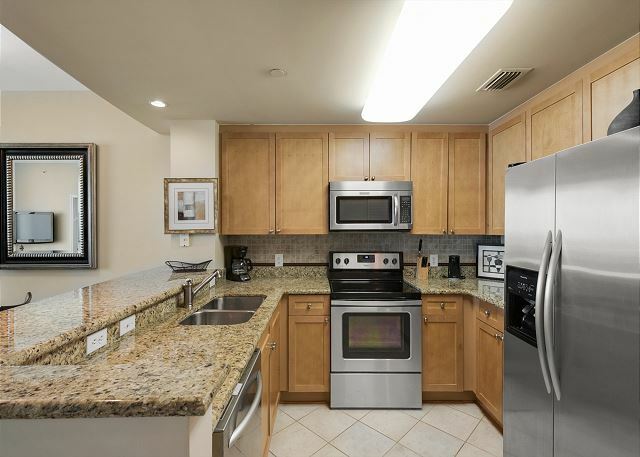 Condo features a fully-equipped kitchen with granite counters, stainless appliances, ice-maker, and all kitchen essentials. Designer furnishings, 3 flat screen LCD TV’s, CD Player, DVD Player, Washer and Dryer. 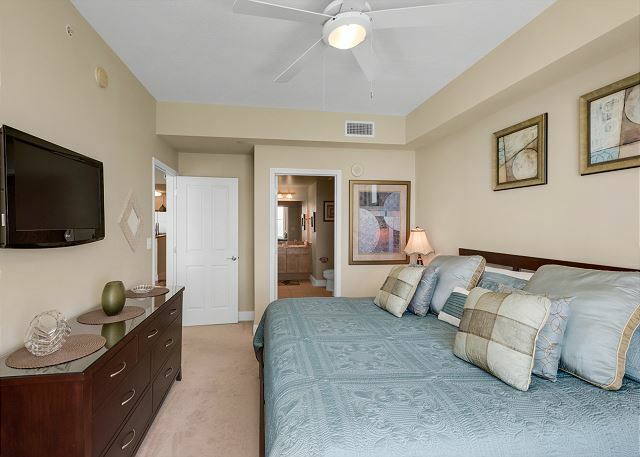 Master Bedroom suite features a king size bed, ample closet space, and a door to the Balcony. Master Bath has dual sinks, soaking tub, and separate glass-in shower. Living Room features queen size sofa sleeper and doors to the Balcony. Second full bath with bonus bunk room, not just bunks in hallway. Our first night was not very enjoyable. We found out that the master bed was broken, as well as the bunk bed. Also one chair on the table set was badly broken. We were lucky we didn't sit on it. We went down to report these things. It was the weekend and they said they would have to get someone in. My husband fixed the bed after a visit to Home Depot. They did repair the other items. This condo needs a major overhaul with regard to the furnishings. Also more cutlery needed. Very friendly staff when we arrived. The whole property was super nice and the room was clean. Will be staying there again! 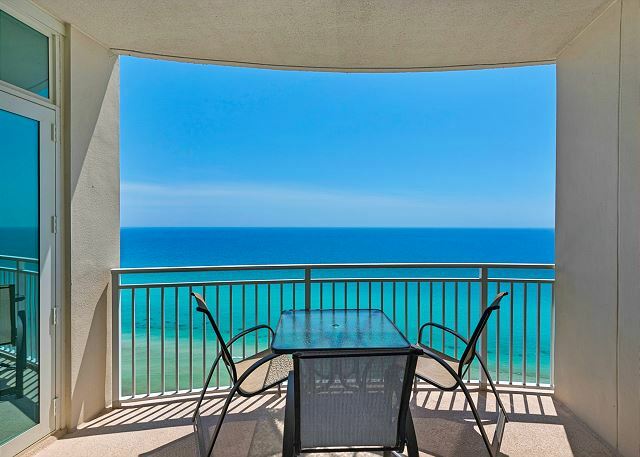 Last minute vacation plans, booking was easy, condo was top notch, great weather! This unit was perfect! Great location, professional staff, clean, nice furnishings! I will definitely plan to visit again. We had a wonderful vacation. The condo was very nice and clean. The staff very friendly and helpful and we enjoy the time spend in Panama City. Excellent condo. Slept 5 women. Even supplied noodles for ocean floating. Very clean and enjoyable. We always have a great experience at Aqua & that's why we keep coming back. We booked on short notice & the reservations staff made it easy & couldnt have been more friendly & helpful. We have booked 1906 a couple of times. 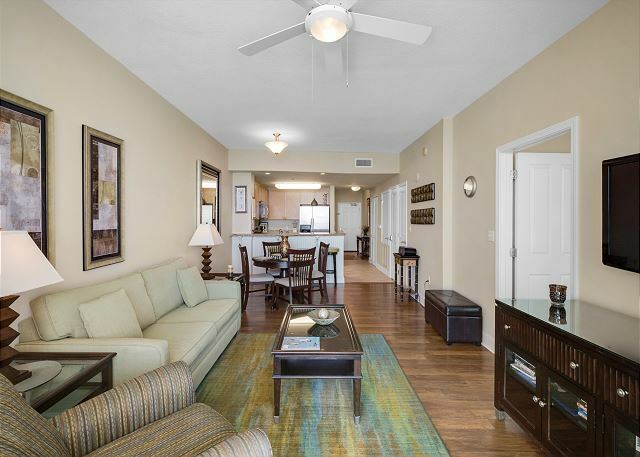 It's a very nice unit that is well furnished & maintained. The owners have it stocked with everything from board games to book to dvd's/cd's. We can't wait to go back!